Police said that the women were dragged and beaten up for being involved in witchcraft. Humanity is not insulted on our soil only. It is not the children who are molested. In our neighbouring country, 5 women were beaten to death and were called as witches. Allegedly they were thought of being involved in witchcraft. In eastern India dozens of villagers physically tortured five women Saturday, blaming them for a series of misfortunes in the village, as per police statement. 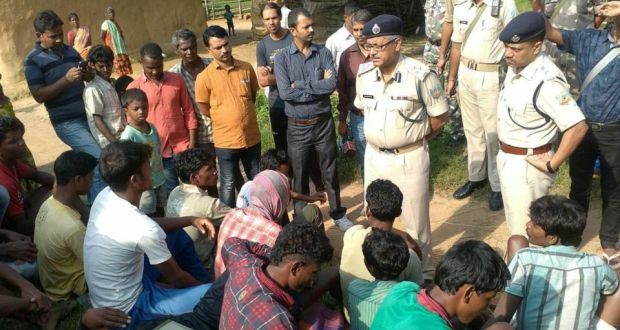 Residents of Kinjia village in Jharkhand state dragged the women out of their homes and beat them with sticks and iron rods, said Arun Kumar Singh, a deputy inspector-general of police in Ranchi, Jharkhand’s capital. He added' The attackers blamed the women for several accidents and misfortunes suffered by villagers, including the death of an infant in Kinjia earlier in the week". Police have arrested around 50 people involved in the attack; while a large number of police officers have been deployed in the village to prevent any outbreak of violence. It feels may be humanity is not respected in this part of the world. It is a crime to be a poor, to be a child or a woman. Superstitious beliefs persist in many parts of India and have been behind similar attacks on women in Jharkhand. This is not the first incidence. Many others has happened, some with different titles and some under same allegations. More information has not been gathered but civil society demands justice, as they rule of law is not strong in that part of the country, but Panchait system works in most rural area of India, whom to ask for justice? Corruption and stereotypical mentality has devastated humanity and has snatched right to live.